Psychological distress is a term that describes unpleasant feelings and emotions with a strong impact on our thinking, behavior, and functioning. People experience psychological distress when they are facing stressors with which they can’t cope. Various causes can disturb our mental and emotional health ranging from stress, hectic lifestyle, to things we do on a daily basis. For instance, even food you eat influences the way you cope with stress. If you tend to consume a lot of junk food, you may want to reconsider your diet choices. An unhealthy diet can lead to moderate to severe psychological distress. Food supplies the body with vitamins, minerals, enzymes, antioxidants, fiber, protein, and other nutrients it needs to function properly. 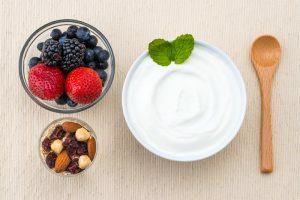 Therefore, it’s not really such a surprise that our diet has a major influence on pretty much every aspect of both physical and psychological health. We don’t think about it that way, though. 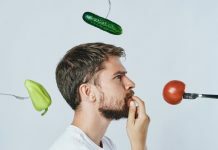 When eating something we don’t think about whether it could induce positive or negative effects on our overall health, but we should. Junk food does way more than making you overweight. Unhealthy diet doesn’t deliver much-needed nutrients meaning it has nothing to offer for good health and wellbeing. 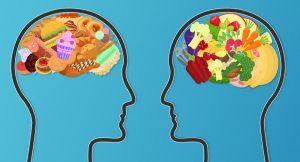 For years, decades, and even centuries scientists explored an interesting relationship between food and our overall health, including psychological wellbeing. The latest study on this subject was published in February 2019 issue of the International Journal of Food Sciences and Nutrition. Scientists at the Loma Linda University School of Public Health conducted the study where they reviewed data from more than 240,000 phone surveys carried out between 2005 and 2015. The surveys were a part of the multi-year California Health Interview Survey (CHIS) which includes extensive information about health status and behaviors of Californians, socio-demographics, and other parameters. Results of the study showed that lower consumption of fruits and vegetables and higher intake of French fries, soda, fast food, and sugar were strongly associated with both moderate and severe psychological distress. The relationship remained even when scientists ruled out some other parameters suggesting that diet has a strong influence on mental health. While a well-balanced diet characterized by fruits and vegetables can improve your mental wellbeing, unhealthy food choices impair it. Scientists explained their study could have significant implications for treatments in behavioral medicine. For example, many people who receive treatment for mental illnesses may also benefit from changing their diet. 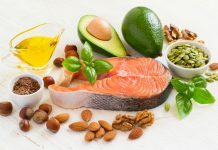 At this point, treatment of these problems revolves around cognitive behavioral therapy and medications, but making some tweaks in diet can be of huge help toward a healthier psychological state of a patient. Why Junk Food Contributes to Mental Distress? First, it’s important to mention that junk food and psychological distress do not have a causal relationship. This isn’t about unhealthy foods causing mental distress, but exacerbating it. 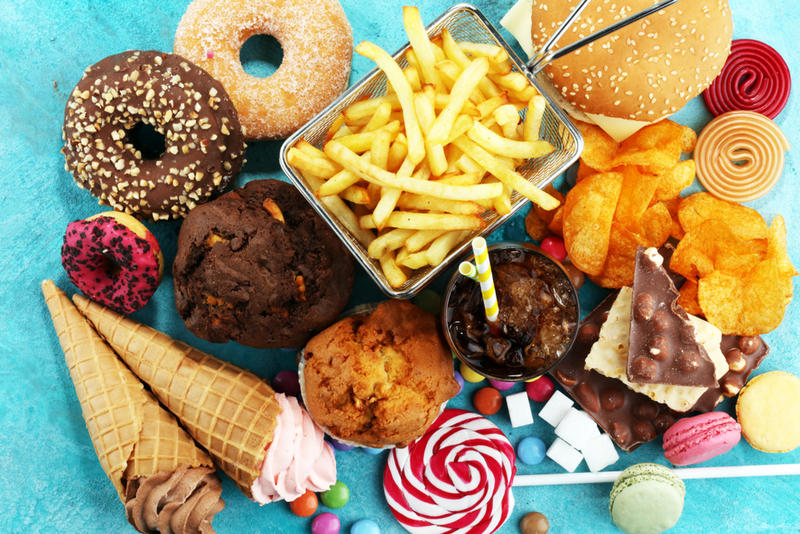 The link between junk food and psychological health needs further investigation to uncover the underlying mechanisms. What we do know is that a healthy diet supplies the body with micronutrients, fiber, and potent antioxidants that are crucial for brain health. On the other hand, junk food doesn’t do that. As a result, it is unable to support our mental health and allow us to cope with stressors in a healthy and effective manner. Failure to manage and tackle these problems adequately can only make them grow bigger and aggravate them. That’s why it’s so important to be mindful of the food we eat. Our diet supports not only physical but psychological health as well. Basically, you need to introduce more fruits, vegetables, nuts and seeds, and whole grains into your diet. Another useful thing to do is to use more olive oil and try out the Mediterranean diet. This is not a “diet” per se, but an eating style from Mediterranean countries which is based on intake of fruits, vegetables, fish, and olive oil. Diet has a significant effect on every aspect of our health due to the fact it supplies the body with various nutrients it needs to function properly. Studies confirm that an unhealthy diet is associated with moderate and severe psychological distress. That’s why in order to improve mental health we need to ditch the unhealthy diet and make healthier food choices. Increased consumption of fruits and vegetables is beneficial for our body and mind.